This article was originally written way back in 2004 on an older version of my website. I have updated it over the years. Besides being (possibly) the oldest article on this site, it is my most popular as well. As a rule of thumb, snow persists into the higher areas well into April or early May for the foothills. Don’t expect the higher country to be snow free until July. In general, the Lost Creek Wilderness area and the Twin Owls loop are open ~mid-late May or so (depending on snow year) to ~late-Sept/early October. The other loops? About late June or early July with winter coming by mid-Sept or so. These dates are rules of thumb and are all dependent on the snow year and how soon winter comes of course. These ideas not enough? Five more Colorado backpacking loops ideas may be found here. Looking for early or deep shoulder season backpacking trips? Click here! These trips are ideal when there is too much snow higher up. A few items to keep in mind about Colorado. Finally, if you want to know to get to these places without a rental car, please see this link. Please Note: While these trip ideas will help you plan out a trip to some areas I love, it is not by any means a complete guide. It is rather an overview of the area. The trip ideas below are not a replacement for a map, compass (and GPS) and their use. You should consult the appropriate map before planning your trip. Naturally, you should also have the skill set to be comfortable and safe in the Colorado outdoors before attempting a trip. The mileage and elev gain comes from mapping software and/or established websites. It should be noted that consumer grade GPS and GPS enabled phones are reasonably accurate for pinpointing location but are not accurate for measuring distance. A Recreational Grade GPS will typically add mileage that is not accurate. If you are new to the Colorado outdoors (or the outdoors in general), you may want to read my basic guide for beginners backpacking. If you are more interested in day hiking, I wrote an intro guide as well. This day hiking guide was meant for trips I lead. If you go off on your own day hikes, you should have the items I listed for “longer or more arduous trips”. Have fun in the Colorado outdoors. It is a great place to be! Backpacking is perhaps the most “pure” way to enjoy the outdoors. You are immersed in the outdoors and living in nature with the gear and food on your pack. You are not just visiting the wilderness; it is your home. Be it for a night or several days, there is something special about spending time in the wild. Cares are forgotten, you live life at its simplest and life seems to be down to its essentials. Below are (in no particular order) some backpacking trips I have enjoyed for various reasons. Other:$10 entrance fee (as of 2013) for Brainard Lakes Recreation Area If you have an intragency park pass (or an RMNP pass), the fee is waived. There are some places in the mountains that I’ve returned to many times. Places that are beautiful and stunning and always seems to call out to me. Franconia Ridge in New Hampshire. The Wind River Range in Wyoming. The canyon country of Utah. All places that are far from my current home. Places the require travel time and often vacation time. But there is one place near my home that I always return. A place that is full of alpine views and lakes. Abundance of wildflowers in the summer and golden leafed aspen in the autumn. This place is in the Indian Peaks Wilderness. Or more specifically a two pass loop that encompasses going over to the Continental Divide and continuing on to the remote feeling Western side of the Indian Peaks. It is a loop I call The Double By-Pass. This loop makes for a challenging two day backpack or a more leisurely three. Some crazier people are known to have done it as one-helluva-day-hike. Ahem. Start at the Mitchell Lake trailhead in the Brainard Lake Recreation Area . Proceed up the Mt. Audubon trail and soon pass timberline. Pause at the Beaver Creek Trail junction, and enjoy the scenery before you descend back into timberline and to Coney Flats. At peak aspen season, the yellow aspens framed by Sawtooth in the background makes for a great photo. Continue on the Buchanan Pass Trail to Buchanan Pass itself. The Continental Divide now stretches north and south. Descend to Fox Park, and enjoy the wide meadow. Continue further down into the trees and watch the eco systems change as elevation is lost. At the Cascade Creek Trail junction, continue southeast to Pawnee Pass, and walk along the many creeks and waterfalls. The loop continues at the Pawnee Pass trail junction, but it is worth the two mile r/t side trip to Crater Lake and the great view of Lone Eagle Peak. Continue gaining elevation as you pass Pawnee Lake and then climb up to the divide and Pawnee Pass. Descend again down the Pawnee Pass trail where the trail joins up with the Jean Lunning trail. The junction is next to Isabelle Lake with its commanding views back to the divide and Isabelle Glacier. Follow the Jean Lunning trail around Long Lake and to the Long Lake trailhead. Take a breather and follow the asphalt briefly back to Mitchell Lake trailhead and the completion of this loop. NOTE ABOUT BRAINARD: This area has become increasingly busy over the years. Due to changes in 2013, there is less parking near the Mitchell Lake TH. There is now a new parking lot near the Pawnee Campground area perhaps .5 miles from the Mitchell Lake TH. However, both these parking lots fill up early. If you go on a weekend, GET THERE EARLY (by 8am. Seriously) Otherwise, you have to park at the winter trailhead and hike up the Sourdough to the South St. Vrains trail or road walk up Brainard Lake Rd.. This will about ~6-7 (road vs trail) miles R/T total to the hike. Two Days vs Three: If you decided on the three day option, the Buchanan – Pawnee route makes more sense. You can camp after the shoulder of Audubon in the Coney Flats area, then climb over Buchanan and camp between the two passes to avoid afternoon t-storms. OTOH, if doing a two day loop, you’ll want to go over Pawnee first. By the time you the afternoon t-storms roll in, you’ll hopefully be well below treeline. Get an early start the following day to avoid t-storms in the afternoon at the shoulder of Audubon. Post Hike: After this calorie burning trip, a great place to refuel is in the funky mountain town of Nederland (“Ned” to locals). Some great Indian/Nepali food is found at the Kathmandu restaurant. What better place to eat this kind of food than at 8200 plus feet and in the shadow of the Continental Divide? If you are tired, the bottomless cups of chai will get you going again…. Permit: A backcountry permit is needed Additionally, bear canisters are now needed for any RMNP site below treeline. The Twin Owls Loop more often than not is a favorite day hike of mine more so than a backpacking trip. Its lower elevation makes it accessible the entire year. Wide open meadows provide great views of the Continental Divide, the Mummy Range and the most famous peak in Rocky Mountain National Park: Longs Peak. This trip is also an excellent Fall trip as the aspens abound and frame the nearby peaks so well. The above qualities also make it an excellent trip for people new to backpacking and/or Colorado. Rather than duplicate the excellent description found at Protrails (great website if you are looking for day hiking ideas beyond mine) , I’ll just add some info from a backpacking perspective. Follow the description listed in the above site from the main trailhead. At the meadow, be sure to enjoy the unique rock formations above. In the Fall, the aspen with the ridge above is extremely nice view. After gaining some elevation you descend into another open meadow , just past is the Peregrine campsite at the 5.5 mile mark. Alternately, you can go not quite a mile further to the Rabbit Ears campsite. After making camp, be sure to take the side trip to Bridal Veil Falls. It makes a wonderful, pre-dinner trip. Without your backpacking gear, it is a very easy ~2 mile round trip excursion from either campsite. The following day, continue along some more meadows and make a climb up to a ridge. Before long, you’ll be at Gem Lake (a very small pond, really). This area is a great place to relax , have lunch and gear up for the last two miles of trail. The way down from Gem Lake is simply stunning. More views towards the peaks, interesting rock formations and more aspen that is simply stunning in the Fall. Congrats! You’ve done your first Colorado backpacking trip! The first of many more to come. Post Hike: On the way back from this trip, be sure to stop at Oskar Blues in Lyons. About half-way between Boulder and Estes Park, Oskar Blues makes for a great post-trip burger and brew. The burgers are delicious and the beer yummy. Oskar Blues has also been known to do AYCE BBQ during the summer, too! Many people often ask me what would be a suitable trip for someone coming from lower elevations. A trip that really shows off some of the best parts of Colorado. Preferably a place that is not too crowded. And of course, not too far from Denver/Boulder. The Lost Creek Wilderness fills this criteria quite well. Its highest point is “only” just aove 12k ft (and the majority of the area seldom getting much above 10k ft). Not only a great trip for people from lower elevations, it is also a great place for early summer or late fall backpacks. And it is a place I find more and more magical each time I go. There are two lovely loops I always suggest. The first is a ~22 mile loop with about 5500′ gain. It is a loop that shows fantastic red rock formations, views of Pikes Peak and goes through wide open meadows. However, I prefer a ~35 mile loop with 7200′ +/- elev gain. This extend loop takes in much of the same scenery and use all of the same trails except for one. (A cut-off trail that goes through McCurdy Park). The larger loop goes along the ridge between McCurdy Mountain and Bison Peak. In my opinion, the best part of the Lost Creek Wilderness. This loop is a challenging two day loop or a moderate three day loop. For those wishing to spend extended time in the wilderness or take it easy, it makes for a nice four day loop as well. With either option, you will see one of my favorite parts of Colorado. A place that is bit off the beaten path. This route starts at the Goose Creek Trailhead. This trailhead can be busy, but once you are past this area the crowds thin out remarkably. The trailhead starts in an area devastated by the notorious Hayman fire of 2002. However, once you drop to the Goose Creek area (only a mile in or so), the woods become lush, the creek flows and you see the resiliency of nature. The trail shortly splits at the trailhead. Follow the Hankins Gulch Trail to Hankins Pass. At the pass follow the Lake Park Trail. You’ll see the first of many red rock formations that is part of the Pikes’ Peak Uplift. At the end of the Lake Park Trail, continue north to the McCurdy Park Trail /Brookside-McCurdy Trail split. At this split, you can go to the beautiful McCurdy Park and do the 22 mile loop. Or you can continue to my favorite part of the LCW – the ridge between McCurdy Mountain and Bison Peak. To put it simply, the ridge is incredible. Wide open, red rocks that look like dribbled sand and impressive views to Pikes Peak to the south. As you continue along this ridge, you’ll have ample opportunity to “bag” McCurdy or Bison Peak with its commanding views of the surrounding land. Just off the ridge, and near Bison Peak, is the impressive and officially un-named rock formation I call the Bison Peak Sentinel. This large and obvious rock formation stands out on the plateau and makes a great place to take in the grandeur of Lost Creek Wilderness. At Bison Pass, continue north down to the valley and connect to the Wigwam Trail. For a while you will be enjoying easy hiking in the Lost Park and Wigwam Park areas. Enjoy the wide open meadows that is the other notable feature of the LCW. At the end of Wigwam Park, hook up on the Goose Creek Trail again. This trail will be followed for the remainder of the hike and will take you back to the Goose Creek Trailhead. Along the Goose Creek Trail, you’ll look into McCurdy Park again and see more of the impressive rock formations that never fail to impress. Further down the Goose Creek Trail, you’ll see a side trail to the Shaft House. This side trip is less than one mile round trip and is well worth the extra time. The Shaft House is the site of an abandoned late 1800s/early 1900s attempt to make a dam in what is now the Lost Creek Wilderness. This site of the failed attempt not only illustrates a part of Colorado history, but also makes a person realize how different this area could have been if the attempt was successful. Out of this failure, Colorado has gained a great outdoor area. After this side trail, and about two miles of hiking, you come to the end of the Goose Creek Trail and complete the trip. If you are like me, you’ll fall in love with the Lost Creek area and want to return multiple times to rediscover its charms. I’m always up for trying new places and will have to check it out!!!! Note: I’ve received reports that the mapping software is inaccurate vs the Recreational Grade GPS. It is the other way around. 🙂 It should be noted that consumer grade GPS and GPS enabled phones are reasonably accurate for pinpointing location but are not accurate for measuring distance. In mountain terrain, the mileage numbers are often inflated. Permit: A backcountry permit is needed Additionally, bear canisters are now needed for any RMNP site below treeline. Also, please note that Esbit and alcohol stoves are not permitted in RMNP.Here is a backpacking trip that takes in the high country of the Continental Divide on a wide plateau. Where you can follows a famous long distance hiking trail for a bit. A loop where there is a good chance you’ll see big horn sheep. A half-way point where you can sit by the shore the largest natural lake in Colorado, cross over the divide again and then end the loop by admiring a lake nestled along the divide. Phew!In short, a loop that takes in what many people picture as the quintessential Colorado experience of backpacking: Wide open spaces, limitless vistas and big mountains. The length of this loop makes for a challenging two day trip or a moderate three day trip.This hike starts at the very popular and crowded Bear Lake trailhead.A beautiful area, but best enjoyed at the end of the loop when (hopefully) the crowds are a bit more scarce. Of course, it isn’t too bad when you have some of the finest views in Colorado on the way up and at the top. Enjoy the views of nearby Longs Peak, have a bit to eat at the edge of a glacier and enjoy the fact you are on now on the backbone of the continent while on you walk along the Continental Divide Trail. At Flat Top, you may elect to take a side trip up to Hallet Peak. Otherwise, continue on the Tonahutu Creek Trail. There is a good chance you’ll have this area to yourself. The views on Bighorn Flats and towards Sprague Pass are some of the best in the park. You’ll often see bighorn sheep on the northern side of this area, too. As you make your way down the trail and into the trees, you will pass several backcountry sites that make a great place to camp for the first night on a three day trip. You are in trees and it is peaceful. Along the way on this trail, you’ll encounter the area called aptly enough Big Meadows. The hiking is easy and gentle along the creek. The North Inlet Trail is where you start to gain the divide again. Continue to follow the North Inlet trail through mainly wooded terrain. After some steep switchbacks you’ll again be above treeline. Continue on and you’ll shortly be back on Flattop Mountain. Follow the Flat Top Mountain trail again down back to Bear Lake and the completion of this loop. A great option on this trip is to to make your own version of a European-style hut to hut (or car to town to car? 🙂 ) trip. Have a light day pack, hike the ~17 miles to the Tonahutu/North Inlet split and walk into the town of Grand Lake itself. One place I recommend staying is the Shadow Cliff Hostel. Besides offering traditional dorm-style hostel accommodations, they also offer private rooms. The hostel has an amazing view of the lake and is right next to the Tonahutu/North Inlet trail split. At only $27 a night (for a bunk) as of 2012, it is an amazing deal! Another option is ta smaller loop that is great for a mellow-ish weekend backpack is to start/end at Grand Lake. Eliminates the hike to and from Flattop and Bear Lake. Shaves about nine miles and 2700′ gain. Makes an ~25 mi R/T and 3000′ hike roughly over two days. Great scenery with easy logistics. A moderate loop can be done for over three days. Note: Sadly, you’ll also see another unfortunate part of modern day Colorado hiking: Pine Bark Beetle infested trees . You’ll see the brownish-red pine needles a fair amount at the start of the hike; you’ll really see them in the Grand Lake area…. Post Hike: If you do the Euro-style hiking, there are plenty of places to choose for munchies in Grand Lake. They are all in easy walking distance of the hostel as well. After the entire hike, I suggest my old standby of Oskar Blues in Lyons. Why tinker with success? This loop is, without question, one of the most scenic, epic, stunning, superlative filled (on trail) backpacks you can do in Colorado. Your lungs and quads power you over over four alpine passes, (and, on the option I prefer) by four large mountain lakes. The wildflowers are a riot of color at peak and the backpacking trip also is an aspen watchers delight. If you are looking for one of the most memorable backpacking trips you can do, this is the one! The only down side of this loop? Many other people also love this loop, too. We are talking near “Franconia Ridge on a summer weekend” level of crowds. The solution? Do this loop during the week or after Labor Day. Luckily, my friends were able to provide me some great photos. Thanks guys! The reason for the nickname of this hike is easy enough to guess. Via trail, you circle around the 14k plus feet peaks of North and South Maroon aka The Maroon Bells over four 12k plus feet passes. Due to the length and elevation gain, this trip is a very challenging two day one. Most people prefer taking 3-4 days to do this loop. The loop starts at the Maroon-Snowmass trailhead in the Maroon-Snowmass Wilderness. the most photographed view in Colorado: The Maroon Bells from Maroon Lake. From the lake, continue up the trail to Buckskin Pass. Steeply switchbacked, but oh so glorious at the top! I suggest doing this pass first as you are fresh and the last pass (West Maroon Pass) is comparatively easy. After Buckskin, continue on the trail and probably enjoy the wildflowers at peak. If Buckskin was not jaw dropping enough, it will definitely drop at Snowmass Lake. Now Follow the Geneva Lake trail up to the second pass: Trail Rider Pass. More Colorado goodness awaits you! After Trail Rider Pass, continue to follow the Geneva Lake Trail to Geneva Lake. A few more miles are added this way than via the traditional route, but the carpet of wildflowers and Geneva Lake itself are both outstanding! Now follow the North Fork Trail to the third pass: Frigid Air Pass. Of all the passes, I think this one was my favorite. The view was of deep green vegetation mixed in with snow and maroon color of the peaks. The view was expansive and remarkable. The views are comparable to Frigid Air Pass, if not as expansive. West Maroon Pass does have this really deep red rock that reminds me of Mars. It is also a great place to pause and enjoy your last bit of wilderness before plunging back into the “real world”. Leaving the final pass behind, you eventually amble along West Maroon Creek which the leads to fourth and final lake of the loop: Crater Lake. From Crater Lake, you only have a mile or so to go until the end. Take a moment to pause by the lake. Snap some photos. And (if you are like me) be amazed at what a wonderful experience you just had. Shortly after the lake, you again join up with the Maroon-Snowmass Trail and head back to Maroon Lake. At Maroon Lake, look back to where you have been. And contemplate that just one trip to this area is not enough. Four passes, four lakes, two 14k foot mountains and many memories. You will be back. The USFS has an excellent guide to the loop. 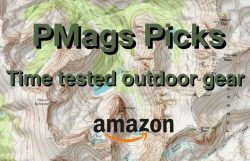 Complete with a topo and profile map, description, any closures and suggested camp sites. ***NOTE*** Bear canisters or an Ursack now required. Post Hike: Nearby Aspen is not exactly a low rent district (to put it mildly). I’ve have not found any “wow..what a great place for not too much money” kinda place in Aspen. Of course, I have not spent much time in Aspen, either! There are some bars and grill type places (my post-trail comfort food place!) in Aspen, but I suspect they are on the expensive side comparatively speaking. Still, when you are hungry, you probably do not mind a $20 burger. 🙂 Maybe this Google search will help? If you are hiker trash like me, you may want to look into a rumor of a Cucnia D’Aspen that appeared one Fall evening before a trail race. But that is just rumor…. Friendly guy. Thank you for your help planning my first backpacking trip to RMNP peak! Looks like you are having fun skiing with your buddies last weekend or so around this park. Good for you! Enjoy!!! I stumbled to his website a few months back. This guy is amazing. Looks like he did all 3 major trails in the U.S. (AT, CDT & PCT). He is amazing. Wonder if he ever counts/realises that – just for those 3 – he walked almost “half way around the world” already. One recent evening, my wife & I were watching public TV show about CDT trail hosted by http://www.flaglerfilms.com/ and happened to see they interview Mr. Mags along with other super hikers like (trail name) Bald Eagle, Chuckwagon, G.I. Jane, etc., and I told my wife that that’s the guy who is helping me planning my trip. Great site, just what I was looking for. We’ll take your advice next summer and do the double by pass. This is random for me and has nothing to do with your current conversation. But I am from Tennessee and am heading to colorado on May 4th and was wanting to do some backpacking in Lost Creek. I hike out west regularly but mostly in sept. Aug, and never have to deal with snow remaining from the winter. So I am looking for any info on that area when it deals with early May weather/snow accumulation And hiking conditions. Any help would be appreciated. The snow pack in this park of Colorado is high currently. Probably still snowy well into May this year. Early May for sure. Lower elevations are probably fine, but the higher places? Not so much I imagine. EDIT: Here’s a good thread as an example. Hi Paul, a friend and I will be in Denver on May 13. And we would really like to do the lcw loop. What are the chances a couple of in shape guys getting this done. We will be taking our time and might stretch it out to 2 nights, 3 days. Thanks for any input or advice! Should work..may still be a little lingering snow. Not sure where you are flying in from, but you may want to acclimate to elevation for a day or two as well. Thanks Paul!!! Just one thing more. Someone told me to bring snowshoes, are these needed? I don’t have a set and would like to save money, but will get them if they are truly needed….plus I can use them in the winter on some of our Minnesota trails. Thanks again!!! I have found your website VERY VERY useful and very informative, more than others. No snowshoes needed at this time. If there is any snow, it is going to be “rotten snow” and not ideal for snowshoeing in any case. Now, if we get more snow higher up in the next 2.5 wks, all bets are off. As mentioned, there may still be patches of snow here and there and some minor postholing may be expected. I think this loop looks great, but we wouldn’t be able to do this until the 3rd week of June at the latest. Is this too early? Would there be too much snow? Which loop? If it is the LCW loop, the third week of June is almost always good. 🙂 The other high country routes all depend on he snow year..but yeah, that can be tough most years. Sorry, I was referring to the 4-pass loop. Seems like there is a lot of trail above treeline so I am not sure if the snow will be cleared out before we get there. Hello. 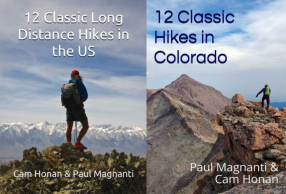 These are excellent descriptions of what looks like excellent loop hikes. I am planning on coming to the Denver area in mid-May, and I was wondering if any of these loops could be completed without undue interference from snow cover? A little snow is no big deal, but when it covers the entire trail, it can be much more difficult. Anyway, given this year’s precipitation, would you recommend any of these trips in mid-May? Thanks. The LCW loop is always a good one for that time of the year *IF* we do not get any more record snow storms. 😀 Otherwise the Twins Owls loop is pleasant (if on the gentle side). pmags, you are a little bit my hero right now. I’m planning a trip to the area in late summer/ fall and was having a mind block. Thank you… that is over. Would you mind sharing what your favorite time / week of the year to hike the LCW loop or the Double By-Pass? The IPW loop is best done in the Fall if you want to avoid crows..but the wild flowers in mid-late July can’t be beat! For the LCW loops, where do you like to camp? Any particularly good spots? Thanks for such good info! I typically end up along Wigwam Creek (roughly 18 miles or so). Plenty of pleasant spots along the creek to make camp for the evening. Hope that helps. Paul, since you seem to have done a lot in LCW, what do you think the snow conditions will be like throughout May this year? I did LCW memorial day taking the shortest loop, Goose creek to McCurdy to Hankins pass. Trip was 31 miles, 6700 elevation gain per GPS. Subtract about a mile from seeing the mining houses. Awesome trip and I plan on hitting all these loops. Got any loops in the MT. Evans area? Let me research some Mt. Evans loops I’ve done over the years. Is the shorter LCW loop 31 miles? I am looking at doing a 3 day trip with a few first timers, and wanted to average 7 miles per day. I think 31 might be a little too ambitious. The shorter loop is about 22 miles +/-and is also very nice. You miss the Bison-McCurdy ridge, but you do go through McCurdy Park which is rather lovely. Have fun! Thanks so much for this post. I am a bit confused about what the “Shorter” trail for LCW is though. I want to start at the Goose Creek Trailhead and then go counter-clockwise. So, is it Goose creek trail->McCurdy Park Trail->Hankins Trail? I thought that was the shorter path, but the comment above says that it’s 31 miles. I’m looking for the 22 mile option. Any help you can provide would be very helpful. I’m wanting to do the shorter loop. Do you know where a map of this loop is? I’ve been looking for hours… This always seems to be the hardest part of planning for me. Thanks! The Trails Illustrated map has the loop. Rather than go towards Bison Pass, head north on the McCurdy Park Trail. That will be the smaller loop. Enjoy! Hi, it’s me….again. We are planning on starting out at the lost park trailhead and heading east(clockwise). We would like to do the 35 mile loop. Is there a map I can download and print or even buy? Nat Geo Trails Illustrated Map #105 (Tarryall Mts/Kenosha Pass) should workd. Thanks for these great suggestions near Denver! If I am backpacking with folks who want to be able to camp anywhere and have a small campfire, which of these 5 trips would you recommend? Are portions of a lot of these above treeline? The Lost Creek Wilderness for sure, esp this time of the year. The Twin Owls loop is all wooded, but not accessible right now due to the recent floods. The Lost Creek loops are generally below treeline, but pop out for a little while. Paul, when I mapped out the smaller loop with Garmin software, I got 20-22 miles as well. When I walked it, I got 31 miles. The reason it is different is because the software does not even show the miles of switchbacks on a couple of the climbs. Also, the computer draws in a straight line (even if we make the line go back and forth some). It is not possible for us as humans to walk in a perfectly straight line so it adds mileage. Your site is an incredible resource of information and I appreciate it. If you would like, I can provide GPX files for this hike and the Indian Peaks Wilderness double pass if you like. Then you can put it on your site to allow others to download into their GPS prior to their trips. Thanks for all your hard work you put into your site! First, many thanks for the kind words. Appreciate it! Big difference indeed. 31 mi seems awfully high, though considering the main loop is ~35mi. Even adding a 10% fudge factor (which I usually do for myself), that’s only about 25 mile total for the smaller loop. It should be OK. Call the Ranger office first. Not much because of snow, but because of any closures still in place due to the floods of last Sept. Otherwise, have a great time! I’m from missouri and 3 buddies and me are wanting to backpack it would be our first time and i think the lost creek wilderness 35 mile loop looks good we want to go for about a week but i feel like that is not long enough for a week. we are all pretty active 19 year olds. do you think that loop is good enough or should we plan another loop also? we were thinking early june….what loops do you think would be best for us? also is early june a bad time to come? Hmm..lots of snow this year in my part of the state. Even the San Juans, with its lower snow pack, may be still snowy. On the other hand, just south is the Pecos Wilderness in nearby northern New Mexico. Lots of great backpacking there that time of the year. Easily string together a nice trip with all the trails through there! sorry im bothering you so much but when do you think the snow will melt this year? First of all thank you so much for this article! I am completely new to backpacking and have found the task of picking my first hike completely daunting and this is making it seem much less scary! My boyfriend and I (from Nebraska) are headed out for our first hike 2nd week of June and want to hike 3 days. We are 20, fairly clueless, but are in pretty good shape. Is there a certain hike you’d recommend the most that will challenge us but not kill us? So far I think I like the Lost Creek Wilderness trail, but again, I am clueless and want what would be best for our needs. The LCW loop would work esp this higher snow year. I am looking to do the #3 trail you list The Overlooked Gem: Lost Creek Wilderness loop I am looking for the best driving directions to get to the trail head but coming up empty. Can you help me out? thanks Paul looking forward to it. Thanks for all the great information. We are looking to do a three day trip next week. Do you think Maroon Bells is possible with some of the recent snow? It seems like it is your favorite! Also, any of these currently allowing campfires? Far too early. With the snow pack this year, post 4th of July is probably more realistic. RMNP does not generally allow campfires FWIW (at least in the backcountry). LCW should be. One of the few places currently with less snow in the immediate area (but not NO snow), so I suspect it will be busy. Me and a buddy are looking to come up for a 3 day, 2 night hike. We are pretty new at this but are in very good shape. What loops allow fires and fishing? Also, what do you suggest to take for food? We would love to catch fish and hunt small animals with a bow and arrow but didn’t know if hunting is allowed in any of these places. Generally speaking, if there are no fire bans, USFS units allows fires (With restrictions in certain areas). RMNP? Not so much. Hunting is banned in NP land. I do not hunt, so you’ll have to do more research using the above link to start. Hi Paul, I stumbled upon your blog a couple of weeks ago, and LOVE IT! I am sure it is a lot of work but I, and surely countless others, appreciate the massive amount of good info…nice work. I am planning my return to the wild after 10 years of…well, life taking me in other directions. I am wanting to do a three night solo backpacking trip in IPW in mid-August during the week, probably Wed, Thurs, Fri. I have been there once before and did Devil’s Thumb Lake for a night and back, then went to another trailhead for a night or two, can’t remember where though. This time I was thinking of doing the King Lake/ Devil’s thumb loop (that is how I found your blog) maybe setting up camp at both Betty lake and Devil’s Lake. Are there any summits accessible from either of these lakes that I could day hike to. I am basically looking for a hike-up peak nothing too gnarly. Any other suggestion as must see terrain in IPW. I am not married to that loop, but it is kind of a way to memorialize my wilderness buddy how died about eight years ago, as our last trip together was Devil’s Thumb Trail. Also, I hear the Hessie TH is busy. what can I expect if I arrive Wednesday afternoon( I’ll be driving in from Nebraska). Thanks for then nice words Chris! That’s a classic loop as well indeed. One nearby peak you can do is this one:https://www.pmags.com/skyscraper-peak Accessible from near Betty Lake IIRC. At least I came down that way. 🙂 Nice little peak with a ridge and good views. Hessie TH should not be too bad on a Wednesdays afternoon..at least in my experience. Have a great trip…and some great memories of your friend. …or maybe the Double By-Pass loop. That looks pretty tasty. If you had the choice for a 3 night trip in IPW, would it be this or King/ Devil’s… Scenery and solitude being high on my list. The IPW loops are both high on scenery, but not so much in solitude. I’d give the nod to the King/Devil’s Thumb loop as being a little less used (esp on the west side). For double by-pass would you suggest clockwise or counter-clockwise from Brainard? If a two-day trip, go clockwise over Pawnee First. If a three-day trip, I suggest counter clock wise and go over Audubon first. 1. I’m not in my 20s. I should have both conditioned more and left more time to acclimate. Tuesday I was in Omaha at 900 ft above sea level and Wednesday I was gasping for air on Pawnee Pass. I didn’t really get sick but could tell my lungs were searching for air that just wasn’t there. 2. It would be a good Idea to start swapping out some of my gear from the 90s for some UL gear. My feet were totally unprepared for the weight I was hauling. I developed sore feet and heel blisters the 1st day and really dampened my spirits for the hiking portion of my days. I will do everything in my power to lighten my load enough to comfortably hike in lite hikers or trail runners…it is time to say goodbye to my all leather Vasque Sundowners. Great boot but 20 years is enough. On the bright side, I camped at Crater Lake and Fox Park, both of which were totally beautiful. Also, hiking up the west side of Buchanan Pass in the clouds was a surreal experience I will remember for a LONG time. Good trip. Awesome! Though the hike did not go quite as planned, sounds like it was still an enjoyable one. 🙂 Glad to hear it! I am so glad I found this article you posted! I am driving up to Denver this weekend and am going to do two of your suggested loops with a day of rest in between. My plan is to start with the Lost Creek Wilderness Loop: I am going to be backpacking this one solo so its mainly regarding this one where I have questions. I will have 3 full days to do the loop and am trying to decide whether to do the 22 mile or the 35 mile loop. I have experience backpacking, am in great running shape (run 3 times a week with an 6-8 mile long run every weekend), but I will be driving up from Texas with one rest day before starting the loop. My biggest concern is altitude, so my first question is whether you would suggest doing the route clockwise (as in your article) or counterclockwise for easing into it. My second question is if I were to do the 35 mile loop are there good places to camp below 10,000 ft. or will the campsites mainly be at a higher elevation. My final question is a navigational one just to be clear: for the larger loop you are supposed to follow the brookside mccurdy trail all the way north until it intersects with wigwam correct? Any guidance would be greatly appreciated..after the lost creek loop I plan on spending a rest day back in denver to resupply and then doing the double bypass with a friend of mine. Let me know what you think, thanks!! Going counter-clockwise, esp coming from lower elevation definitely would be a little easier for sure. As for the route, I took the Lake Park trail to Brookside-McCurdy Trail and on the ridge. At Bison Pass, I took the Brookside-McCurdy Trail down to Lost Park. From there hook on the Wigwam Trail. Finally, camp sites are plentiful in the sub-10500′ mark. Just north of Bison Pass in Lost Park has some good camp sites as well as Wigwam Park. Ping me if you have other questions. Wow that is definitely good to know about the two pass loop! I’ll have to figure out a different one to do with my buddy. As for the LCW, I am super excited about it and am now leaning towards the 35 mile loop…after all I do have 3 nights to do it. My only remaining question is how well-marked are the trails (are there signs at every split?) and if there will be much snow on this loop at this time of year? Since the double bypass is too snow-ridden, is there another 3 day (2 night) loop you would recommend for my friend and I to do that won’t be too crowded during 4th of July weekend? I definitely appreciate the quick response, thanks for all of your help! The Sangres, the San Juans or the Pecos (northern New Mexico) are your best bet right now. The LCW should be OK snow wise. The trails are pretty well signed. Since we are going to be in Denver and would like to stick to the near vicinity for the backpacking, would the Grand Traverse or Maroon Bells loop you highlight also have too much snow to do this time of year? 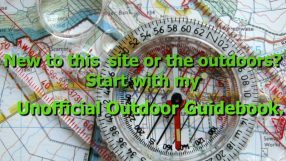 Is there a good site to check conditions on all of the trails beforehand? The snowpack is rather high in most of northern Colorado. Anything within 2-3 hrs of Denver (at least in the high country) is going to have snow this weekend. Calling the individual ranger office is probably the best bet to get snow conditions ahead of time. I really like the blog. I’m thinking of doing the LCW loop hike over 4th of July. I’m torn between the 22 and 35 mile loops. More than anything I worry that skipping the McMurdy Park Trail and Refrigerator Gulch is a mistake. Is the terrain on that cut through trail (McMurdy Park) very different from the rest of what you see on this hike? I know you can’t see everything, but I worry about missing that bit of trail. Thanks! We are thinking of doing the shorter hike, but making a detour to hike in and out of that ridge on the second day. Bison or McCurdy are both relatively easy to get off-trail as well. Have fun! We are doing LCW in about a week. Any recommendations you can suggest on routes up to Bison / McCurdy? Great site for Bison Pk and McCurdy info: http://www.summitpost.org/bison-peak/151572 http://www.summitpost.org/mccurdy-mountain/151596 Has maps, route info, etc. We are traveling on July 20th to Denver and then heading into the mountains. Are thinking of doing the Maroon Bells loop and wondering how much extra time we need if we want to summit Maroon Peak. We were thinking a three day loop but not sure if we can do 10 miles/day. May want to consider ~4 days so you can acclimate a bit while backpacking. There are actually two Maroon peaks: North and South. N. Maroon is class 4 and may be a bit challenging for you depending on your technical abilities. S. Maroon is a class 3 (hands and feet, no exposure) and takes a full day in itself for most people. More info: http://www.summitpost.org/south-maroon-peak/150467 Hope that helps! i’d also add that the elks are known for nasty, crumbly rock – if you guys don’t feel like your climbing skills are rock solid (pun?) you may want to reconsider…just a thought. thanks for the info on lcw! we did the 22 mile loop clockwise in 3 days and had a great time. surprisingly a ton of rain and mosquitoes – more than i would expect for colorado. it’s obvious that area gets a lot. given how much of the trail was in good condition it was interesting to come across areas that were pretty washed out. we initially were going to do the pawnee/buchanan pass loop but the ranger station still said there was too much snow in the passes – might not even clear out by the end of the summer! if anyone has questions about existing camping spots along the shorter route, i’m happy to share what we found. thumbs up (and paws up) for zoka’s. not only were they happy to have dogs and smelly people on the patio but the food was great, they had a good beer selection, and they even had a burger for my dog. they’ve been there for 8 years and i hope they’re there for another 8! Hey H.E., I’m wondering when you did the LCW loop – your post is dated July 15, so it must have been earlier in the summer. I’m considering it for late July this summer, but curious whether mosquitoes and rain will still be an issue. What do you think? I typically do the LCW in may – early June or again in September or even October. I find the LCW is rather hot overall outside of that time frame. Thanks Paul. Fantastic site, and I really appreciate both the initial setup and information, and your attentiveness to questions and comments. Looks like I should head further north and/or to higher elevations. Thanks for the kind words. Late July is probably best elsewhere indeed. Have fun no matter where the Colorado trails take you! Great Site. What are your thoughts on “ringing the bells” in late October. Comfortable with snow but looking for a backpacking trip and not a ski trip or slog through snow. I know it depends on the year, but are those altitudes usually socked in that late in that area? Any advise is greatly appreciated. Dicey. Probably ice and/or snow. 🙂 Late october – early December is really hard in the high country. Usually not enough snow for skiing; too much for comfortable hiking. I was just looking at some of your trips….spectacular. Thinking of a backpacking trip in CO end of May this year. From Seattle and have always wanted to venture out your way. I have about 6 days to backpack and was looking at trip #5. What are your thoughts here on snow and trail conditions. Not afraid of snow, but since I do not know the area do not want to get lost/avey conditions. How do you think the snow will be a the end of May here? How far is the trailhead from the Denver airport? Thanks again for the good info you have provided. A bit too much snow at the end of May for most of the Colorado high country. Lost Creek Wilderness may be OK. Depending on the snow pack, northern New Mexico may be better. Check out the Pecos Wilderness for some stunning scenery, alpine lakes and 13k foot mountains. About 5 hrs from Denver..even closer to ABQ. Are there any trips around here right now that don’t have much snow cover? Dominguez Canyon near Grand Junction. Grape Canyon Wilderness Study Area. Those are two that come to mind. mid-June may still have quite a bit of snow in many of these areas. The LCW may work..or the Sangres esp more towards NM or even in NM itself. Nice blog man! How early do you think the LCW loop will be do-able this year? Thanks! Mid-May if I had to guess. Of course, that’s assuming no major snow between now and then. I just discovered your wonderful blog trying to plan a CO backpacking trip. I think I am going to do the LCW loop early in the season this spring/summer. What do you think would be an ideal week to do the trip considering temperature and snow challenges? Thanks! Mid-May or so is usually a good time for the LCW. If we get more snow, all bets are off. Do you think it’s a bad idea to go do a loop in the lcw this week? Great information. I am planning a 3-day hike with my son in early June. The folks as REI suggested LCW and then I found your site. Looks like I have a plan. It seems like we should have access to water for most of the trip. Can you comment on the water situation? I prefer to go light and carry a filter system than lugging heavy water. Thanks again! Water should not be an issue. Any water marked on your map will be there. Early June should be a good time to hike in the LCW. Enjoy! A couple of friends and I plan on doing the 35 mile LCW loop during the last week of May after Memorial day. We will have 6 days set aside for backpacking and plan to do the 35 miles in 3 days. My question would be is it worth it to also do the 22 mile LCW loop with the remaining days, or do you have any other suggestions for another loop within a couple hours drive from there that would be better during this time of year? Thanks! The 22 mile makes most of the trail of the 35 LCW so you really wouldn’t gain much per se. However, it is easy to hook up to this loop and do a “super loop”. Look at the map for more details. #3 route. We were wondering what you did for water on the trip? I looked at my map and grabbed water appropriately. The water is pretty reliable. I live in NE and will be taking my 17 year old son on his 1st back country hike the 2nd week of June. I have hiked the south west and mid west extensively but done very little in CO. Where could you suggest for a 5 day hike. In mid-June, most of those loops are going to be snowy. The LCW wilderness is obvious…or going a little south to northern New Mexico. About 5 hrs or so from Denver is the Pecos Wilderness. A very wonderful place. First, thank you for posting that update about the snow. A couple friends and I are planning on leaving tomorrow from south Arkansas to go hike and we were planning on doing the LCW. So you really saved us there. But now that LCW is a no go, do you have any suggestions of hikes that would be available and fun to do? We will have from Monday-Saturday to hike so we are looking for something maybe a little longer. Or at least somewhere that could occupy our time for a week. Thanks in advance! As of 5/22, at 10k ft (as opposed to higher), there is currently 36 inches in a nearby area. You may be able to go lower, but it will be sloppy. Currently, at Kenosha Pass, it is 38F and raining and sleet. The Weimenuche will has even more snow and is avalanche prone due to all the recent snow. Go to Utah, parts of northern New Mexico or the Grand Junction area in my opinion. Your advice was good so thank you. We ended up doing a loop in the Kannah Creek area near Grand Junction. It is a beautiful area. The weather was perfect and not a single other person or group (but lots of bear tracks – so have bear gear). There were a few muddy areas and some rushing/freezing creek crossings to wade through. They just made the hike more memorable. Some friends and I are d never bound for three days on the 18th of June. Looks like our options are limited because of the snow. Any suggestions? Northern New Mexico may work. Check out the pecos. Also, it has been warm, in the next week, the snow may melt out for the LCW a bit. We were planning to hike segment 6 of the CT the last weekend of June (25th-27th). Based on CTF reports, it is starting to appear like Georgia Pass will still be impassable at that time. Looking for an alternative 3-day backpacking trip. It looks like the 35mi. LCW Loop you wrote about in this blog reaches roughly the same elevations. Do you expect the LCW loop to be passable before, after, or about the same as Georgia Pass? We would be okay with a little bit of snow as long as the trail isn’t too terribly obscured and there aren’t extensive periods of post-holing. Thanks in advance for your advice. I was in LCW this weekend at around 10500′ on north facing slopes. Some very minor postholing and some route finding. Marshy, muddy areas. Extrapolating, i’d expect similar conditions on the LCW loops you mentioned in about two weeks. Nothing too difficult, but just something to be aware of. Cool. Thanks for the tip Paul! I’ll keep my fingers crossed for some hot days with good melt over the next couple weeks. So based on your post yesterday, it looks like LCW may be the best option for the last weekend in June? Originally we were planning on the 4 pass loop that weekend (well, 28th-1st), but it looks like there’s still snow. Correct. As an FYI, The 4 pass loop is rarely “open” in late June even in a regular snow year. I flying into Denver on Saturday and hitting the trail in the Indian Peaks Wilderness on Monday. Whatever research I do on hiking in Colorado, it takes me back to your website. I don’t mind hiking in snow or mud. My question is, what should I expect for nighttime temperature at 10-10500′ if it is in the low 60s in Boulder ? First time in Colorado and looking forward to this trip. WAY TOO EARLY FOR THE INDIANS PEAKS! Friends were skiing there this past weekend. You’d wouldn’t be hiking in snow, you’d be postholing. Again, way too early. May want to look into the Lost Creek Wilderness (even that will be a little sloppy) . As mentioned, mid-July is probably more realistic this year for most CO high country areas. Temps will generally be ~15F+ or so cooler at 10k ft vs Boulder. Anyone been out in LCW this past week? I was planning on doing the loop mentioned above next weekend and wondering what the conditions were like and if I needed to look into other options. Don’t have any snow gear so hoping to avoid that. Thanks! I suspect it will be fine..if a bit wet on the trail and hot hiking overall. Thats good to hear. Would there be any potential issues with creek crossings on that route? Shouldn’t be…usually some bridges and such. I’m planning to do the Lost Creek loop this weekend, but I’m concerned that rain might not make for a fun hike, so I’m looking for a back plan. Anything between Denver and Grand Junction…similar in distance and elevation to Lost Creek. Any ideas would be appreciated! Thanks! Going to be hot in Grand Junction area proper this time of the year (100F Saturday!). The Grand Mesa will be wet and sloppy (and mosquito prone) but should be more melted out. Looks to be partly cloud with some possible rain Sunday. About 80F during the day. Trail Illustrated make a nice map. Thanks! Are there any 15-25 mile long hikes in particular that you recommend in those areas? I’d love to do the Maroon Bells this August – I’m just having trouble figuring out logistics on getting to and from Aspen from Denver. Figuring a hitch is tough for a 3+ hour drive. Any tips? Paul: Thanks for all you do for hiking on your website. I am contemplating a September section hike from Chamas to Lake City. Getting to Chamas is pretty easy, but I’m at a loss for how to get from Lake City to any regional airport, like Montrose, to fly home. Do you know of any transportation services in that region? I’d hate to have to hitchhike after that many days on the trail….not sure if anyone would stop for me. If only this hike were a loop! If you can hitch from Lake City to Gunnison, you can get public transit as far as Denver (or montrose). A hitch would not be too bad from Lake City as HWY 149 goes to US50. On a weekend, a lot of tourist traffic, too. Otherwise try calling the chamber of commerce. There may be a private shuttling service. Hi! Thanks for the useful information. Me and 7 of my buddies are planning on a Backpacking trip July 4th weekend. We will start in the morning Friday and need to be out by Monday morning. I am thinking about doing the 22 mile loop you describe in the LCW. However, I’m interested in seeing the area of the cut-off trail that goes between mt McCurdy and Bison Peak that you described, but don’t have time to do the 35 mile loop. Is it possible to do an out and back that would allow us to see the McCurdy and Bison Peak area? Perhaps we could set up camp near that cut-off trail and then do a backpack free hike into the area? Your advice is greatly appreciated! I don’t have the map handy, but sounds doable. The map will let you know for sure. Also, be aware that the LCW can get very warm at that time of the year. Thanks for the quick reply. We were also considering going to the Horn Fork Basin via North Cottonwood Creek TH. Are you familiar with that area? When you say LCW get’s very warm this time of year do you mean we won’t need much for warm clothes even at night? Not familiar with that route. Sorry. Warm bordering on hot during the day for lower trails. Cool at night however.